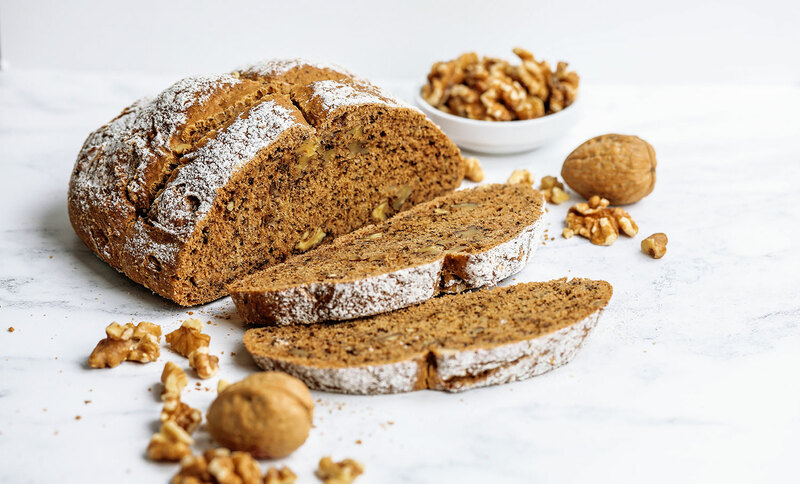 A delicious vegan California walnut soda bread that goes well with both sweet and savoury meals. 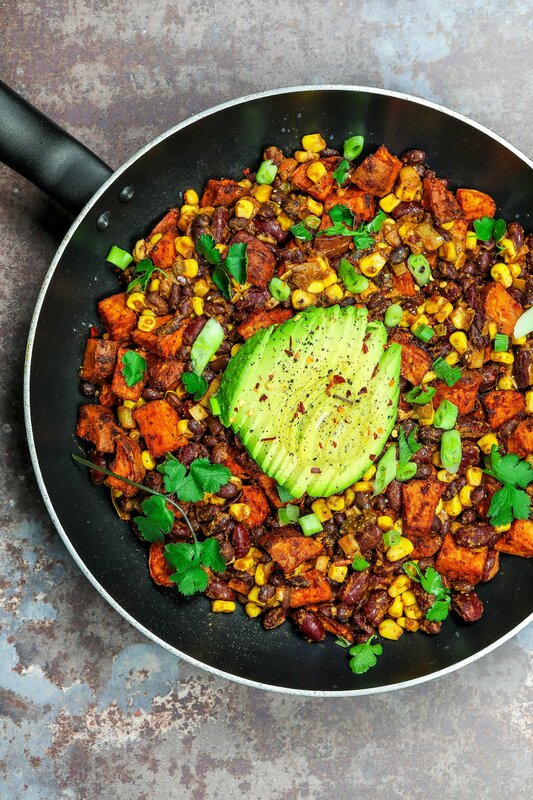 An easy and versatile recipe that you can enjoy for breakfast, lunch or dinner. 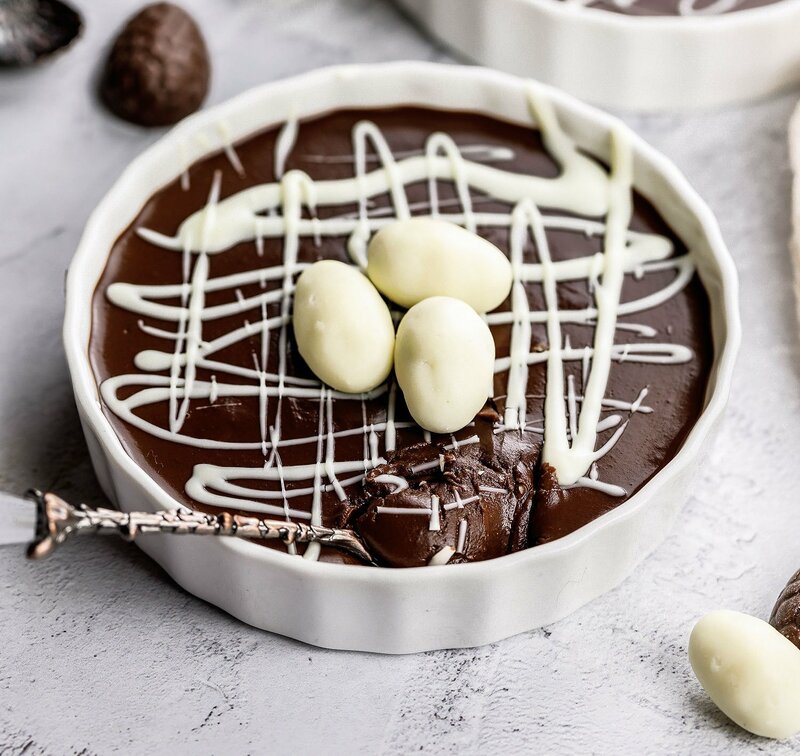 Baking is such a hot topic at the moment since the kickstart of this year’s Great British Bake Off. I’ve always been a huge fan of baking (as well as eating baked treats! ), but over the summer I found myself unintentionally leaning towards non-baked recipes and desserts. The heat put me off from wanting to turn the oven on, but now that Autumn is officially here (yay!) and bake off fever is in the air, all I want to do is bake bake bake! 😀 It’s such a good time to be alive. 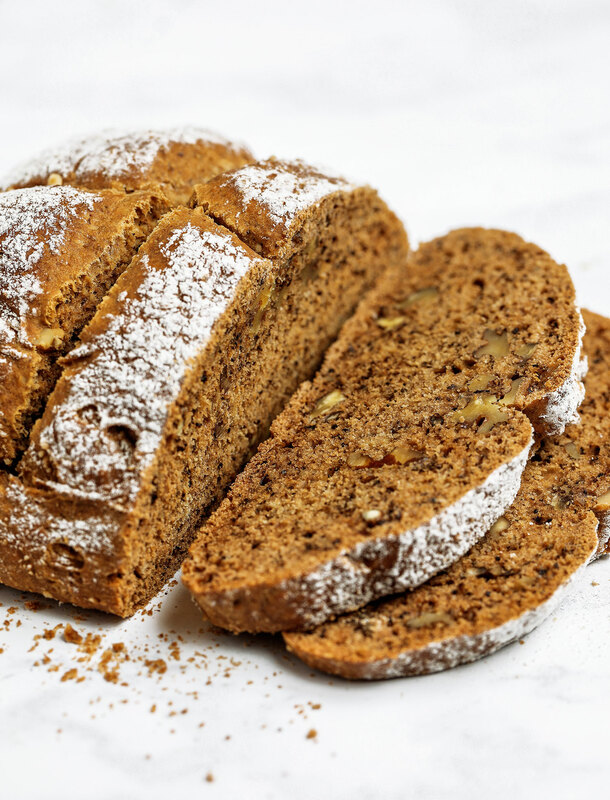 One thing I can’t say I have much experience in baking is bread, which is so ironic because bread is one of my favourite foods! I’m always saying that if I had to live on one food and one food only for the rest of my life, give me a good loaf of bread and a cup of tea and I’m a happy girl. I could never get bored of that combo. I’ve realised the reason I never bake my own bread is because I’ve always felt it’s such a tedious task and a bit of a faff. I don’t like waiting for bread to rise (yep, I’m that impatient!) 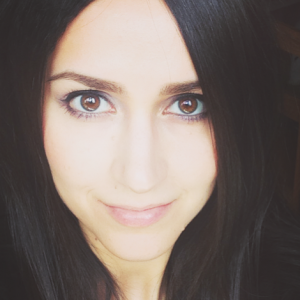 and I’m always worried that at the end of all the wait I’ll mess it up. That was until I decided to try making my own soda bread. I never thought making bread could be so quick, easy and therapeutic. 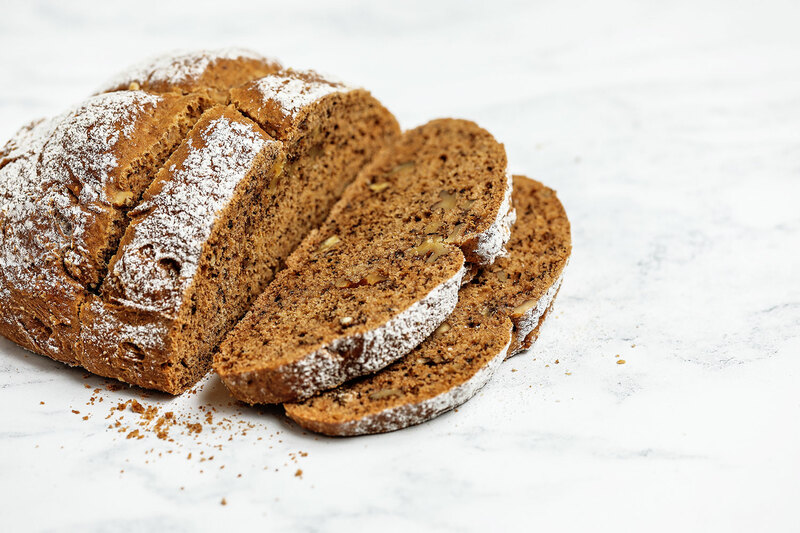 I’m all about soda bread at the moment. 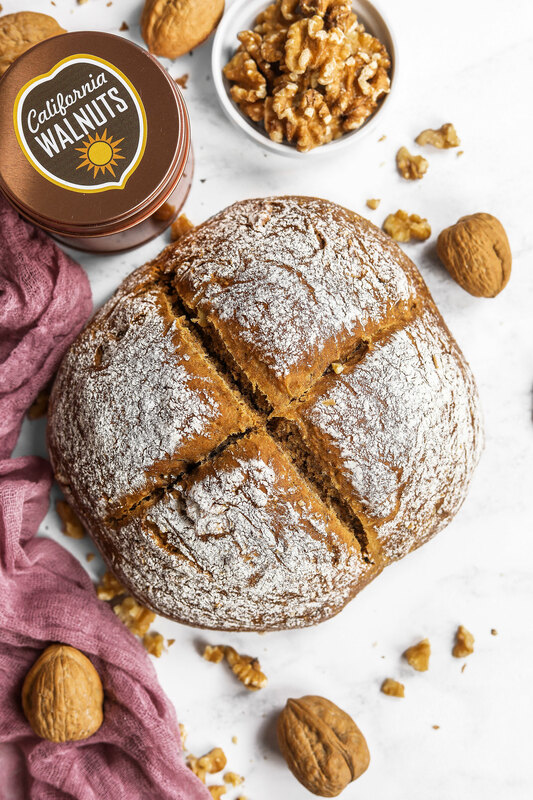 I’ve teamed up with California Walnuts to show how versatile walnuts can be and how they can easily be incorporated into everyday savoury and sweet baked recipes. 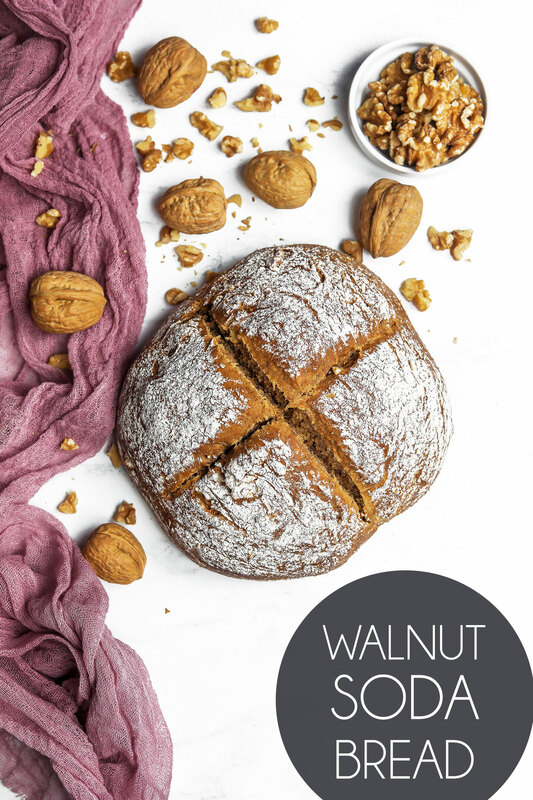 Walnut use shouldn’t be restricted to toppings on your porridge, smoothie bowl or salad. You can do so much with them and I’m here to show you how! 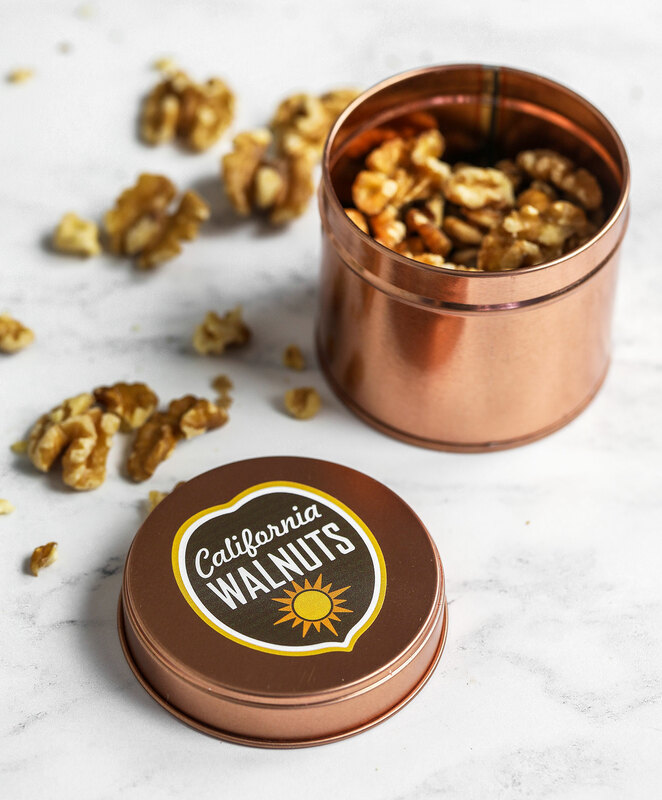 Thanks to the California sunshine, these tasty golden California Walnuts are incredibly fresh and deliciously pure, all year round. 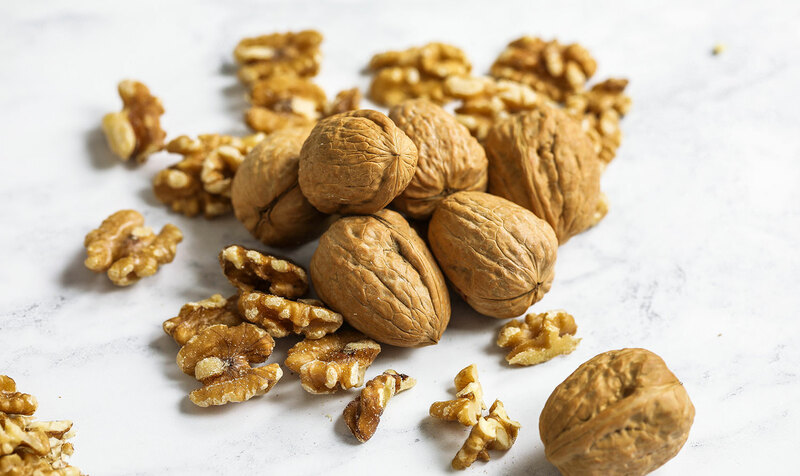 I always make sure I include walnuts in my daily diet as my source of Omega-3, since my diet is mainly plant-based. 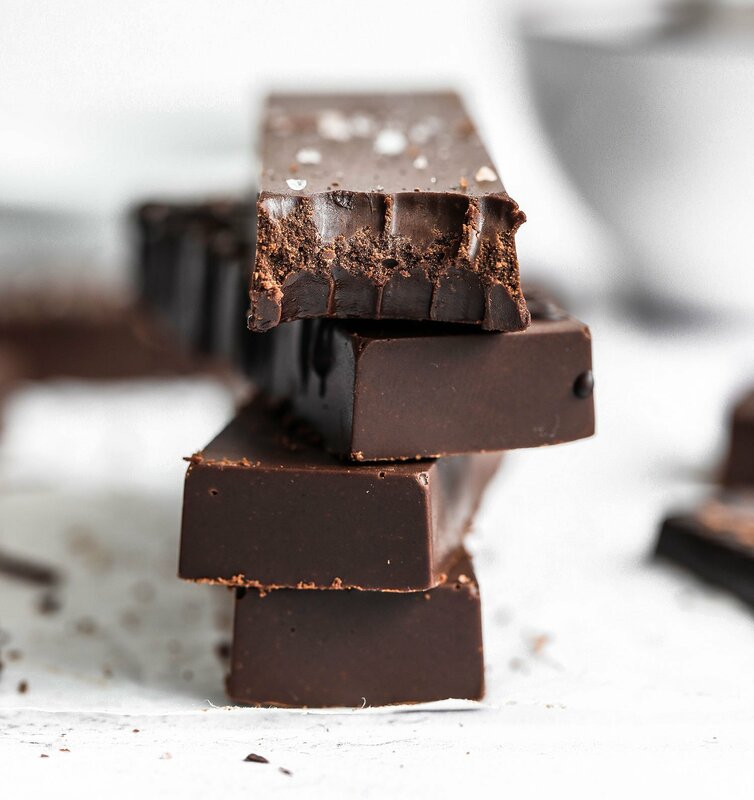 It’s an essential fatty acid and one that we usually forget about. 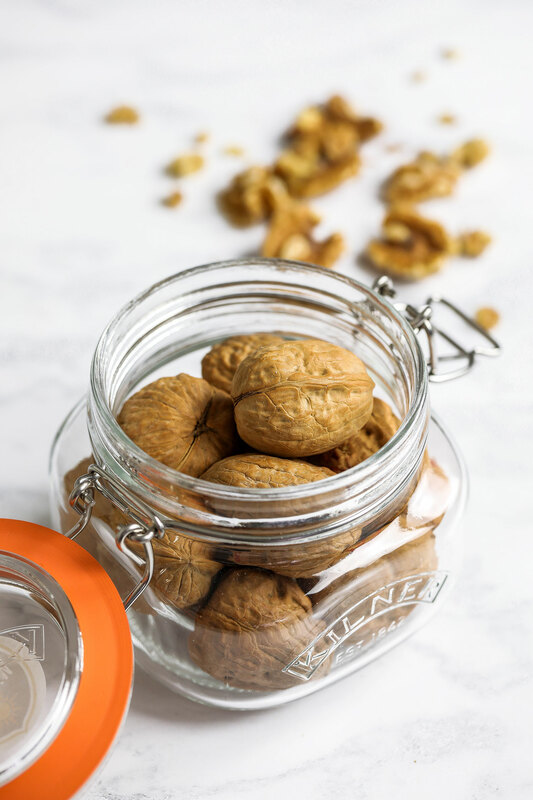 A daily intake of walnuts ensures you don’t miss out on all the health benefits that come with omega-3. 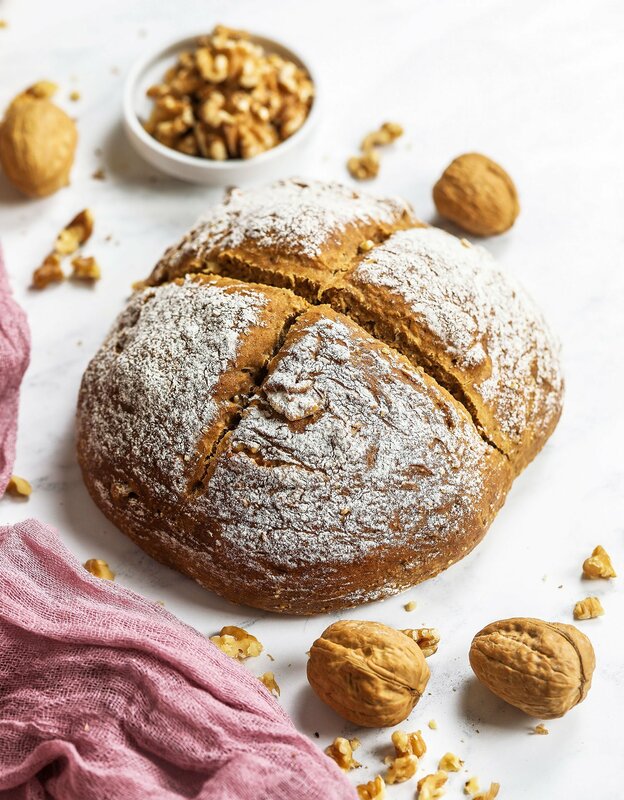 This vegan California walnut soda bread only takes about 10 minutes to prepare, then you leave it in the oven while you get on with the rest of your daily tasks, or you can put up your legs and relax if it’s been a long day. 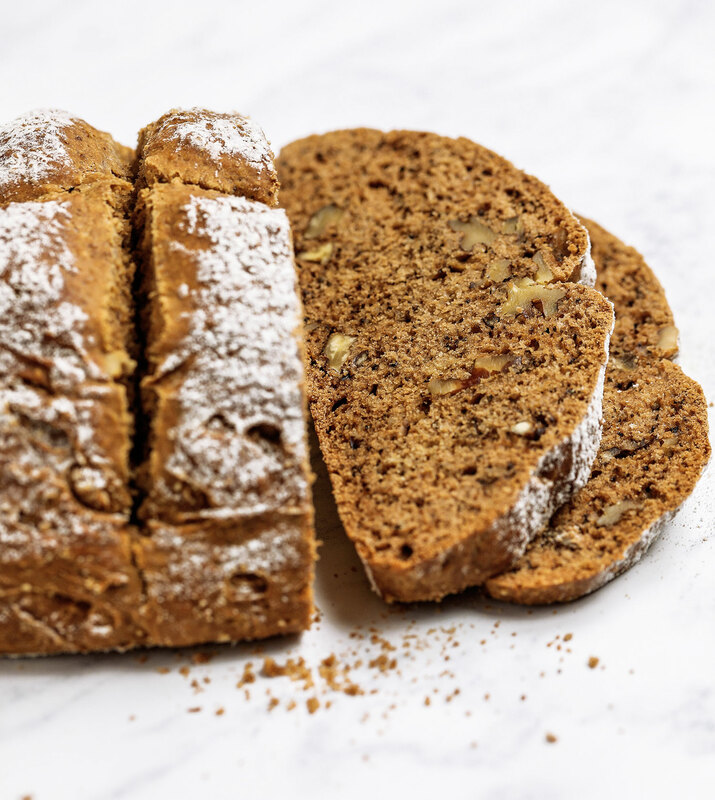 It’s especially yummy fresh out of the oven with a little bit of dairy-free spread and I think it goes so well with soups, stews and chillies! 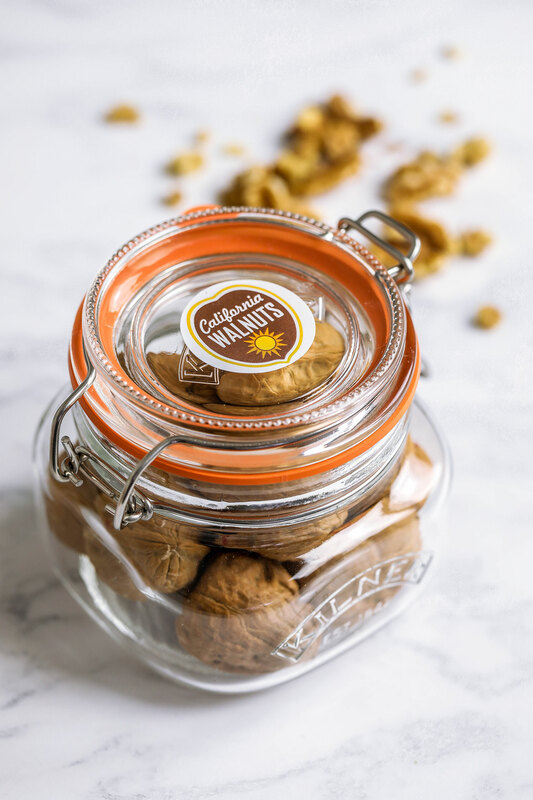 The walnuts add a lovely crunch and the most delicious light and creamy flavour. Preheat the oven to 200°C/180°C fan/400°F. Add the plant-based alternative milk to a mug and mix in the apple cider vinegar/lemon juice, then leave to one side for 5-10 minutes. 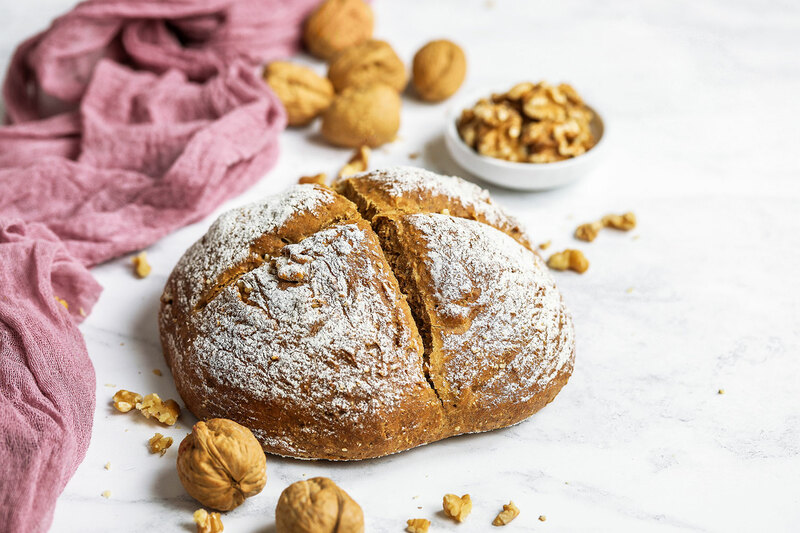 In a large bowl, mix together the ground California walnuts, spelt flour, baking powder and salt. Pour in the dairy-free milk and apple cider vinegar mixture and the date/maple syrup, then knead into a dough. 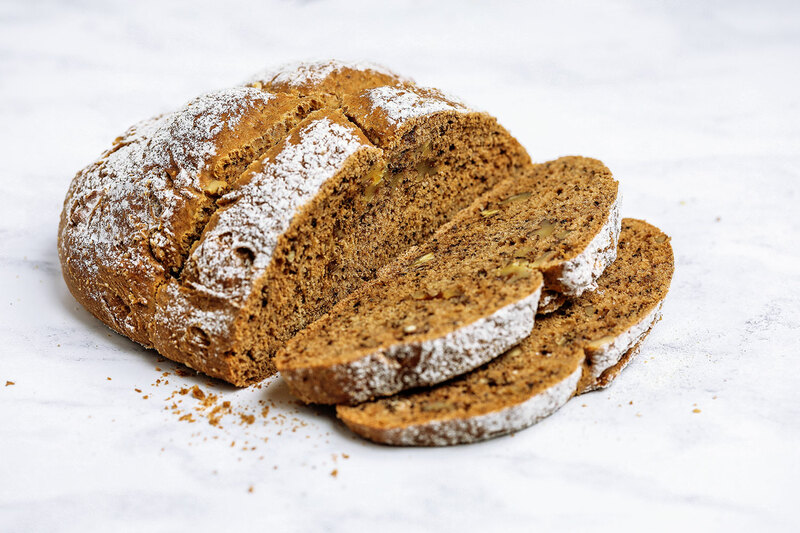 Add the chopped California walnuts and knead again to evenly distribute, being careful not to overwork the dough. 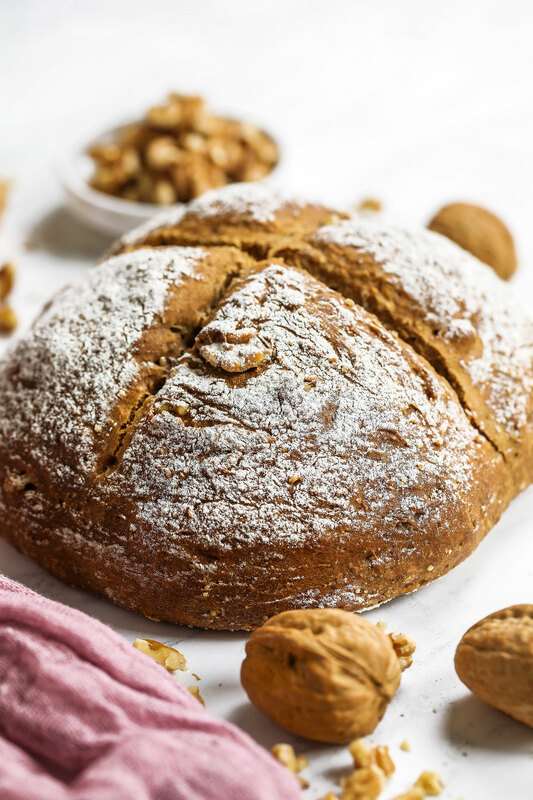 Place dough onto a lightly floured board and form into a large loaf. 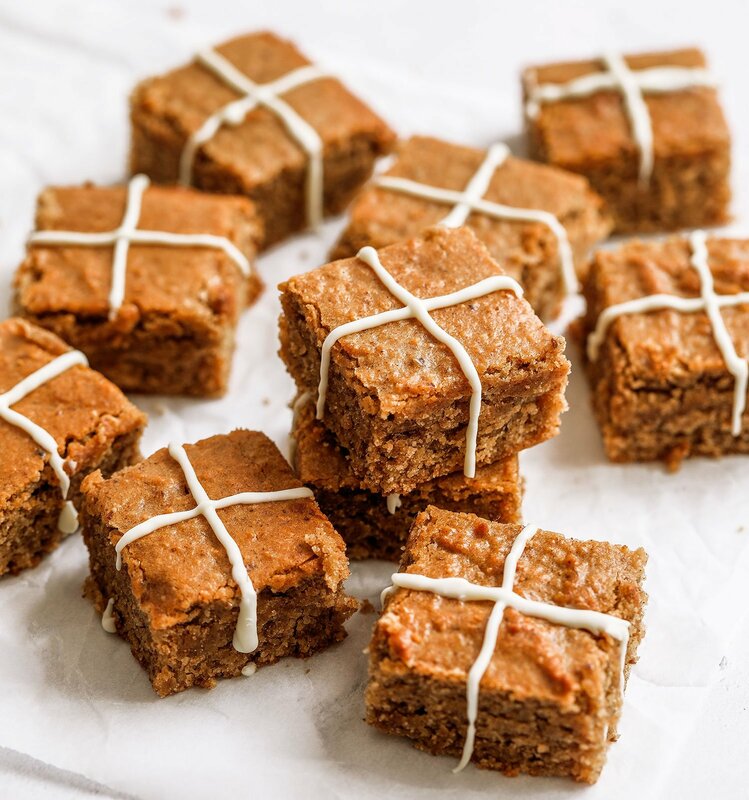 Place onto a baking sheet lined with baking paper. Dust the top with some flour and cut a small cross over the top of the bread. Bake for 40-45 minutes. Thanks to California walnuts for sponsoring this post. 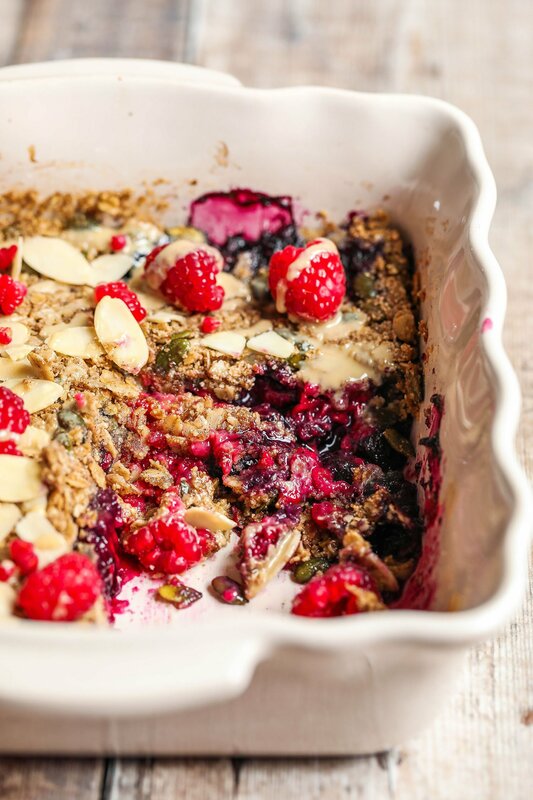 Commissioned posts is how I’m able to continue working on the blog and creating recipes and recipe videos for you. As always, all opinions are my own.